Our project delivered a range of short break opportunities for Chinese and South Asian carers. Five residential breaks (3 Chinese/2 South Asian) and 6 days trips (5 South Asian/1 Chinese) were provided in locations throughout Scotland with a focus on Scottish heritage, wildlife and landscape. The project delivered three 2 night/3 day breaks to 28 Chinese beneficiaries in total (22 carers/6 cared for) plus an additional day trip to the V&A in Dundee for 15 carers. The residential breaks took place at the Blair Athol Centre in Pitlochry and included a Highland Safari and therapeutic workshops on hand massage, Reiki, reflexology seated Tai Chi and a celebratory Chinese meal. The programme of short breaks for South Asian carers followed a different format. Five day trips were organised to Falkland Palace, Aberdour Castle, Anstruther and Culross, Aberfeldy and St Andrews. In total, 28 carers participated. 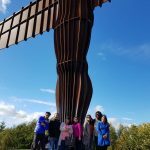 In addition to this, 2 overnight breaks to Glasgow and Newcastle were delivered benefiting 12 carers. All activities were delivered between May – September 2018. Participants for all activities were identified by MECOPP staff with priority given to carers with the most complex and acute caring situations. In arriving at these decisions, the workers considered whether participants had benefited from other short breaks provision in the year, what other forms and volume of support they were receiving and the impact of the caring situation on their own health. Extensive preparation took place beforehand including participant planning meetings, completion of emergency plans for the cared for, medical information and emergency contacts for carers and an environmental risk assessment. Our project contributed to the ‘outreach’ priority area by increasing access to culturally appropriate short breaks provision. We would particularly like to highlight the involvement of young South Asian female carers as a success due to the sensitivities of young women attending activities and the effectiveness of emergency planning as two incidents occurred which required remedial action. These were an emergency hospital admission for one carer and the impact of ‘Storm Ali’ on the second South Asian residential break which required one night’s emergency accommodation. We have learnt that preparation for the delivery of short breaks has to include planning for unforeseen circumstances and would like to highlight two examples of this. One of our participants was suddenly taken ill on a residential break and was admitted to hospital as an emergency. Prior to every break, we ask participants to complete a medical information form with emergency contact details. As a result of this, we were able to provide crucial medical information which ensured appropriate treatment was provided. However, the participant insisted we did not contact her family immediately as she did not want to worry them. On this occasion we complied but we subsequently amended our form to notify all future participants, that in the event of a medical emergency, their family/contact would be notified. Our second example underlines the value of encouraging participants to engage in emergency planning before a residential break. 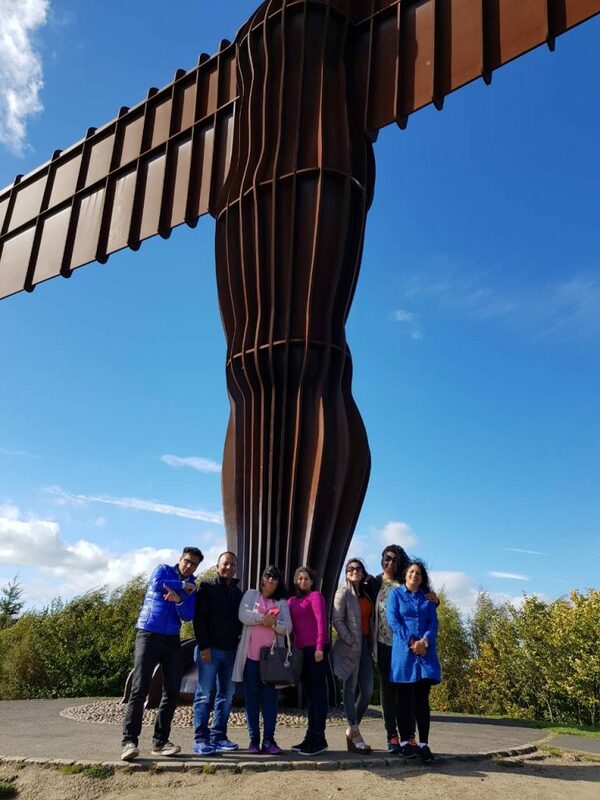 Our second residential trip for South Asian Carers was badly affected by ‘Storm Ali’ resulting in 6 carers plus two staff being stranded in Newcastle with no accommodation and no onward travel to Edinburgh. We were able to source a second nights’ accommodation but the emergency plans enabled the carers to have confidence in the arrangements they had previously made with family members who were providing replacement care. We have also learnt that we need to refine how we plan and timetable the short break activities. In meeting the preferences of service users as to when they wanted the breaks (including day trips) to be delivered weather being the primary consideration this placed a lot of pressure on the organisation to deliver in a relatively short time period. Going forward and for future grant applications (if successful), we will ensure that we either (i) reduce the number of activities to reduce time pressures or (ii) deliver earlier in the funding period. The primary way in which MECOPP has benefited has been to further consolidate and build our reputation within beneficiary communities. Our evaluation demonstrates that there is increased understanding of the value of short breaks in promoting and supporting the wellbeing of the carer and aligned with this, an increasing demand for culturally appropriate short breaks provision. However, it is apparent that continuing support will be required from bi-lingual staff for future breaks to assist with planning, enabling communication and providing a ‘safety’ net to ensure confidence in delivery. 54 (75%) of carers will report a better understanding of how to support and improve their personal wellbeing, 54 (75%) carer beneficiaries report improved levels of wellbeing following the short break and 37 (50%) will participate in other health and wellbeing activities provided by MECOPP and others. The first target was met in full with 100% of participants across the two beneficiary groups reporting they had a better understanding of the need to look after themselves, particularly in relation to having regular breaks from caring. The second target was also met with all 28 carers from the South Asian community reporting some improvement in their wellbeing, 9 reported feeling much better, 16 reported feeling better, and 3 reported feeling a little better. Nine South Asian Carers progressed from the day trips to the residential break. For Chinese carers, 16 reported feeling much better and 6 felt better. Prior to the breaks, 16 Chinese carers (73%) accessed some form of community based resources which rose to 22 carers (100%) on completion of all breaks, an increase of 27%. For South Asian carers, 15 (54%) carers reported using other community based services to some degree after the break but 13 (46%) carers did not access any other community based resource. 18 (25%) of carer beneficiaries will report increased usage of other community based resources/ activities which reflect their specific interests. This target was achieved with 42% of all participants recording varying degrees of increased access to community based resources. However, it should be noted that access in the main was limited to community based resources and/or organisations that could meet specific requirements around language and communication. The evaluation also captured information on what other resources or activities participants would like to see provided and included IT, English and photography classes, exercise for frail elderly, complementary therapies, day trips and short breaks. 54 (75%) carer beneficiaries will have increased awareness of the role short breaks can play in supporting improved personal wellbeing. This target was achieved with 100% of carer participants reporting increased awareness of the role short breaks can play in supporting their own health and wellbeing. Analysis of evaluation questionnaires from Chinese participants shows that 18 (82%) carers understood the value of a break in promoting carer wellbeing increasing to 22 (100%) after the break and 4 (66%) supported people understood the value of a break in promoting carer wellbeing before delivery increasing to 6 (100%) after the break. Similar increases in awareness were reported amongst South Asian beneficiaries. Of those that participated in day trips (2 per participant), 12 carers significantly increased their understanding of how a short break can improve their own health and wellbeing and 16 increased their understanding. Of those that participated in the residential breaks (12 carers), 10 carers had much more understanding of how a short break can improve their own wellbeing and 2 had more understanding.